Centrally positioned in northern Europe, Sweden is the largest market in the Nordic region. The country is a global leader in innovation, with a highly skilled labour force, sophisticated consumers, smooth business procedures, openness to international ownership and a stable economy. What we offer is unique in Stockholm and the Nordic region. Our Stockholm and Helsinki offices make White & Case the only global law firm with a strong and established Nordic presence. We work with Swedish and international clients, in Sweden as well as globally. Our lawyers are market-leading practitioners in areas such as mergers and acquisitions, banking, capital markets and dispute resolution. We work on some of the most significant and complex transactions and cases in the market. Our offer is rooted in our profound understanding of our clients' business. We work in focused teams, close to our clients. Our success is founded on our ability to combine knowledge and experience with personal commitment. Banking is one of the office's core practice areas. We advise Swedish and non-Swedish banks and financial institutions, private equity sponsors, large corporates and alternative capital providers on a broad range of banking and restructuring matters, both foreign and domestic and within a broad product offering. Clients include some of Sweden's largest financial institutions, corporates and private equity funds. The combination of White & Case's international experience and the Stockholm office's knowledge of local legislation and industry practice makes us extremely well suited to be efficient advisors to both local and international banking and finance clients. "The co-operation between the offices in different countries is a strength and the firm is always able to provide the best service to clients." Clients praise the team's "attitude, availability and awareness." "White & Case stands out for its experience in representing private equity sponsors' in financing transactions." 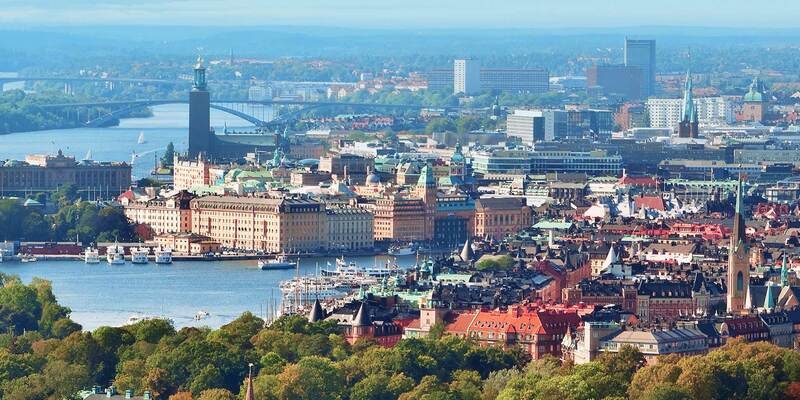 The Capital Markets Group in Stockholm focuses on capital markets and public M&A. The team advises issuers, owners as well as underwriters in a variety of ECM transactions, including IPOs, spin-offs and rights offerings, as well as convertible bonds, other hybrids and pure bond offerings, including HY. The team's public M&A experience includes a wide range of domestic and cross border buy-outs, merger of equals and reversed takeovers, and they represent both sponsors and strategic buyers. Sources highlight the team's "cross-border capabilities" and "good international capacity" as a particular strength. White & Case Advokat AB's team houses practitioners who are dual-qualified in English and Swedish law, including Rikard Stenberg, Darragh Byrne and recently promoted counsel Michael Bark-Jones. We have successfully represented clients in a number of the largest and most complex litigations and commercial arbitrations that have arisen over the past few years. In any dispute, we are focused on achieving our clients' objectives by combining our legal knowledge and accumulated know-how with our industry knowledge and geographical reach. On the arbitration side, we know the process as well as the arbitration institutes. The group has many years of experience in representing Swedish and international clients in ad hoc proceedings conducted in accordance with the Swedish Arbitration Act, as well as institutional proceedings under various rules, such as the SCC, ICC and UNCITRAL rules. Sources say that "the team's work is always excellent: the lawyers are very knowledgeable and easy to work with. We have also had very positive experiences of White & Case's cross-border capabilities." Clients include international oil & gas companies, contractors, insurance companies, banks, financial institutions, corporations and government agencies. According to Chambers 2018, Anders Reldén heads the department with exceptional expertise and is described by clients as "very business-oriented, highly skilled and knowledgeable." He offers representation in numerous types of disputes and is particularly noted for his work in construction litigation, also acting on matters in the energy and insurance sectors. Anders is Band One ranked in Dispute Resolution by Chambers and listed as a Leading individual in Dispute Resolution, Sweden, by The Legal 500 EMEA 2018. 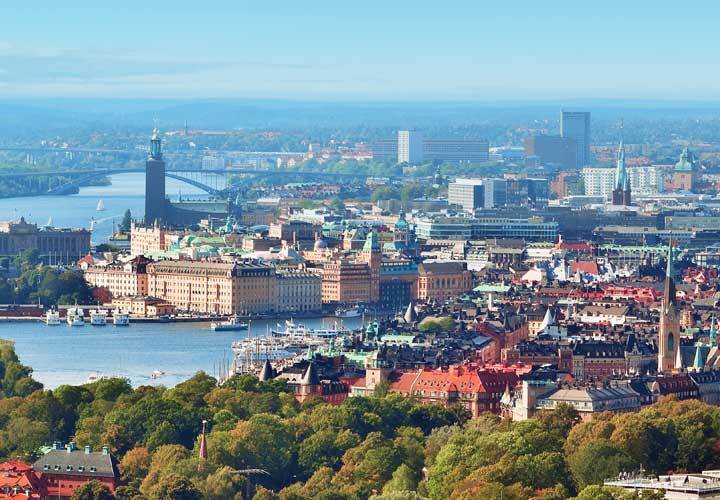 The M&A team in Stockholm represents multinational companies, private equity firms, financial institutions and other clients in connection with domestic and cross-border M&A transactions across a range of industry sectors. We have a long history of representing clients in Nordic M&A transactions and of representing our Swedish clients in their M&A transactions around the world. Clients recognize our unique cross-border capabilities, and we have been engaged to act for them in some of the most innovative and demanding M&A transactions in the region. 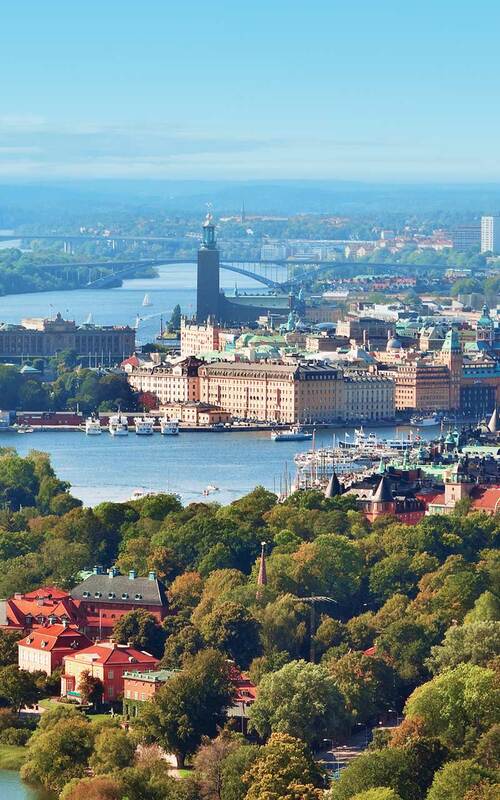 The Stockholm office is part of the White & Case global M&A team. We are one of few law firms with the global capacity and expertise to provide assistance to clients on mergers and acquisitions worldwide. Our transactions include Domestic and cross-border acquisitions and dispositions, Joint venture, Spin-offs, Privatization, Private equity funding, Leveraged buyouts, Recapitalizations. Well-established team handling private and public M&A. Particularly recommended for its cross-border capabilities, utilising its international network to advise on major global mandates with Swedish aspects, as well as having a solid reputation for local and regional work in Sweden and the Nordics. Strong reputation for private equity-related deals. Clients emphasise that Jan Jensen "provides a combination of business sense and legal knowledge." He frequently leads private equity mandates and advises on related mergers and acquisitions. White & Case ranked #1 for M&A by deal count in the Nordic region for the period from January 1, 2018 through September 30, 2018, according to Bloomberg's Q3 report. In the first three quarters of 2018, White & Case advised on 38 announced deals, worth more than US$7.2 billion, to achieve its #1 ranking. White & Case deal value amounts to 22,405 MEUR this year, having advised on 36 announced deals. White & Case ranked #1 in Finland and #3 in Sweden. White & Case has also had great success globally in the last year. Globally ranked #1 according to Mergermarket, with a transaction value of 665 billion USD, which is a record. Bloomberg is also ranking White & Case as #1. Represented Nordea Bank, together with Citibank, N.A., London Branch and SEB as the original lenders, on the SEK 11 billion-term facility agreement made available to Tele2 AB (publ) to finance part of the merger with Com Hem Holding AB (publ). Tele2 is a NASDAQ Stockholm-listed telecom operator and Com Hem is a NASDAQ Stockholm-listed TV cable company. Represented northern European private equity investment company FSN Capital on the financing of its acquisition of IT companies Office IT-Partner, Zetup and Dicom. Represented Arion Bank and its principal owner Kaupskil in connection with the IPO and Stockholm/Reykjavik dual listing of Arion Bank. Represented EQT and Piab in connection with the contemplated IPO and Nasdaq Stockholm listing of Piab. Represented Handicare and its principal shareholder Nordic Capital in connection with the IPO and Nasdaq Stockholm listing of Handicare. Represented a multinational IT company in SCC arbitration against a retail company regarding the termination of a software delivery and installation project. Represented one of Scandinavia’s largest construction companies in a dispute with a global provider of processing technology regarding claims under a construction contract for a gas treatment installation at a mining facility. Represented Ingenico Group, the global leader in seamless payments, on its €1.5 billion acquisition of Bambora, a fast-growing global player in the payments industry, from private equity firm Nordic Capital. The transaction is was the second largest transaction in Sweden so far in 2017. Represented Nordic Capital on its acquisition of Ryds Bilglas, one of the leading vehicle glass repair and replacement companies in Sweden. Represented ABB on its investment in Northvolt AB, a Swedish company which is building Europe’s largest and most advanced lithium-ion battery factory. Represented Nomura and Barclays on their acquisition of Cevian Capital's entire stake in AB Volvo, the global leading truck manufacturer and the largest stock-listed entity in Sweden, and Nomura and Barclays later on-sale of the entire stake to Geely. The deal was the largest deal in Sweden 2017 and the largest ever exit by an activist fund globally.